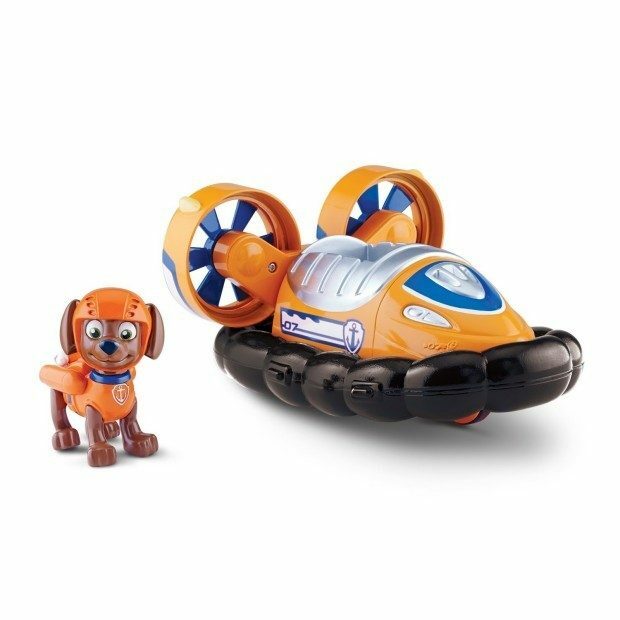 Paw Patrol - Zuma's Hovercraft Just $9.95! You are here: Home / Great Deals / Amazon Deals / Paw Patrol – Zuma’s Hovercraft Just $9.95! Paw Patrol – Zuma’s Hovercraft Just $9.95! Head over to Amazon and get the Nickelodeon, Paw Patrol – Zuma’s Hovercraft for just $9.95 (reg. $12.99). Shipping will be FREE with Amazon Prime or an order of $35 or more. It’s Zuma to the ruff-ruff rescue in his Hovercraft with real working wheels! Zuma’s Hovercraft has snap-in fans that really spin! Zuma’s Paw Patrol Hovercraft Copter comes to the rescue of Paw Patrol fans ages 3+.